Work with one of our handpicked licensees in their family oriented, community centric restaurants. 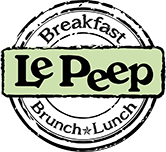 Le Peep® is a community oriented, family friendly breakfast, brunch, and lunch experience built with the help of a group of talented and exceptionally engaged individuals. Consider joining our family today. 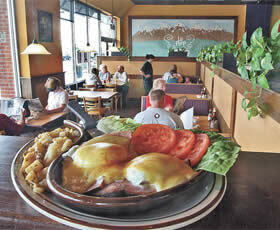 The Le Peep® lifestyle is unlike many other restaurant experiences. Instead of working until all hours of the night our family members are home to have dinner with their family, work another job, or pursue your own goals for most of the business day. If you are interested in working for an exciting, growing, and close knit company, please apply below. To learn more about the prospect of owning your own Le Peep®, please visit our Licensing Section.